Eileen Painter, RN, MSN, Executive Director, has devoted her professional career to the health and welfare of individuals across the lifespan. Before joining NFSB as the Executive Director, Eileen was Manager of Volunteer Services with the American Red Cross-New Jersey Region. She was responsible for program development, community outreach and assessment of community needs for diverse populations and people, including the Nutley community. Eileen was an active member of the Disaster Health Services Team and is well versed in disaster relief activities and emergency services. Eileen has specialized in volunteer recruitment, retention and training for the last 15 years with various non-profit organizations. Her expertise in public speaking earned her national recognition as a Master Trainer in supervising teams and managing conflict. Eileen previously served at United Way of Northern New Jersey and the Montclair YMCA as a community outreach coordinator. Eileen earned her Master of Science degree in Maternal Child Health Nursing from The Ohio State University and pursued postgraduate study in the same field at the University of Pittsburgh. Eileen is published in the journals of Pediatrics and Pediatric Nursing. After a twelve-year career in trauma and intensive care nursing, she took leave of the hospital to focus on independent fundraising efforts for various local and national non-profit organizations. Eileen is an entrepreneur and a small business owner. She is a certified health and wellness professional with the YMCA. Felicia Gardner, LCSW, is the Director of Clinical Services and Programming. She brings 20 years of experience in the field of mental health to NFSB as she supervises the clinical staff, designs and implements responsive programming to serve community needs and maintains NFSB’s state licensed, out-patient mental health facility with evidence-based behavioral healthcare standard procedures. She had post-graduate training at The Minuchin Center for the Family, which teaches a structural family therapy model of intervention. Grief counseling and treatment for depression, anxiety, bipolar illness, couples and parenting issues are some of Felicia’s areas of expertise. She is a certified supervisor for licensure candidates and has mentored over 50 social workers and professional counselors throughout her career. In 2016, Felicia was named Women’s Advocate of the Year by the Nutley Department of Public Affairs. Victoria Bukey, MSW, LSW, is a seasoned clinician in the area of autism spectrum disorders, providing intervention surrounding areas such as self-regulation, social skills, and effective daily functioning. Vicky implements play and sensory integration as a means of creating a therapeutic environment. She is a Certified School Social Worker, assisting school district’s in creating Individualized Educational Plans and in-home family training. Additionally, as a Child Development and Family Specialist, she provides services to families and individuals, from adolescence through adulthood. Following the Lewis Carroll’s quote, “Which way you ought to go depends on where you want to get to…” Vicky embraces the opportunity to empower her clients throughout their journey together. Vincent Fitzgerald, LCSW, adheres to the philosophy that healing and growth can be accomplished with increased understanding of how family dynamics and generational patterns create anxiety, depression, and relationship difficulty. Combined with exploration of how fear and uncertainty influences behavior, the seeds to enable a more fully realized self can be planted. 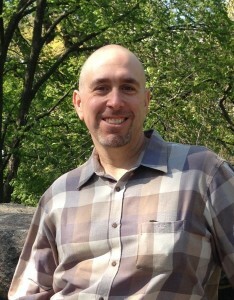 Vincent is clinically certified in Bowen Family Systems Theory and practices client-centered therapy. He is influenced by an existential psychotherapy perspective, and believes above all factors, it is the therapeutic relationship that heals. The clinician-client relationship begins at the initiating call, can have life-long impact. Ann Goldstein, MSW, LCSW, holds a post-graduate certificate from Fordham University in Child and Adolescent Therapy. Ann utilizes a play therapy approach to intervention when working with children and their parents. She utilizes, non-directive play therapy techniques, sand-tray interventions, art therapy and a variety of other non-verbal modalities to enable children to benefit from psychotherapy. She is an experienced child/parent-guidance social worker and has been a valued therapist at NFSB for over 25 years. Jessica Hauck, MA, LAC, is a mental health counselor with specialization in art therapy. Jessica has worked closely with children dealing with bereavement, and has experience in crisis and suicide prevention hotlines. She provides services to children, adults, families, and groups using a variety of interventions, and implements both psychotherapy and art therapy, according to individualized client needs. Jessica typically uses a person-centered and solution-focused approach in her work, and believes in the importance of an authentic therapeutic relationship based on acceptance and empathy. She is published in her field with a focus on ethical practice. 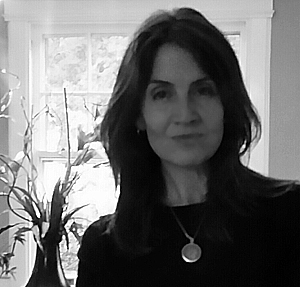 Staela Keegan, MSW, LCSW, LCADC, is dually licensed and specializes in co occurring disorders. Staela brings over 20 years of experience in assessment and treatment of individuals and families struggling with Substance Use Disorders and associated mental health problems. She coordinates the NET (Nutley Empowering Teens) Program, a specialized group that focuses on local at-risk teens by providing substance abuse education and skills development in order that they can better cope with related peer group and behavioral/socialization pressures. Additionally, Staela is the facilitator of the Women’s Support Group, where she brings a competent, compassionate approach to issues of anxiety, depression, life transitions, relationship difficulties, and difficulties with grief and loss. 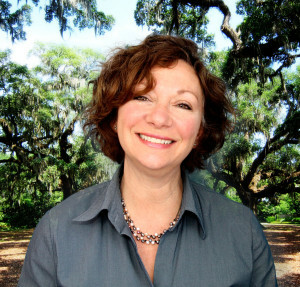 Carmen Ostow, MSW, LCSW has post-graduate certificates in Treatment of Adolescents, Advanced Clinical Counseling, and Spirituality in Clinical Counseling from New York University School of Social Work. Along with this training, her more than 25 years as a social worker has enriched her capacity to relate to and treat a wide population. Ms. Ostow has worked in the field of domestic violence and has experience in working with individuals on the Autism spectrum. Additionally, Ms. Ostow speaks Spanish fluently. Tricia Politi, MSW, LCSW, has been on staff at NFSB since May of 2013, providing psychotherapy to individuals, couples, and families. Embracing the Person in Environment philosophy of Social Work, Tricia sees clients as individuals with unique challenges specific to their place in the world. Rather than focusing on pathology, she works with her clients to develop their strengths and create positive change both within themselves and in their relationships with others. Of particular interest, is the geriatric population, acquired from years spent delivering social services and counseling in a residential setting. Tricia believes that one is never too old to benefit from the gift of therapy. Johanna Rosenfield, MSW, LSW, provides mental health services for individuals across the age span, as well as to families. Additionally, she holds a Masters in Creative Arts Therapy, which allows her to integrate aesthetic creativity with a psycho-dynamic philosophy of intervention. Johanna combines her interest in mindfulness practices such as yoga and meditation to assist individuals in achieving stress reduction. Fernando Vázquez, MSW, LSW, is fluent in English, Spanish, and Portuguese. As a first generation Hispanic-American, Fernando’s perspective includes a particular sensitivity to the immigrant experience. Additionally, due in part to his prior career as a high school teacher in the Newark public school system, he is practiced in connecting with teens of varied backgrounds who face diverse challenges. In his clinical capacity, Fernando has worked closely with both adolescents and adults whose primary language is not English, and he uses psychotherapy and psycho-education to empower his clients.